Interested in learning the skills of flying? Looking for new friends? Wanting to learn how to play the bagpipes or another musical instrument? Interested in getting physically fit? Then we might just be the youth program you are looking for. 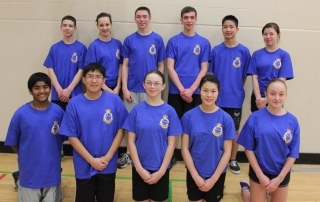 Air Cadets follow the military tradition of wearing uniforms, and we form a team which prides itself on leadership and citizenship qualities, physical fitness, and knowledge of the air activities of the Canadian Forces. Join Air Cadets and Come Fly with US!!! They also participate in fun activities, get the chance to travel and have summer employment opportunities. There are scholarships and bursaries. Some provinces even offer school credits for participation. 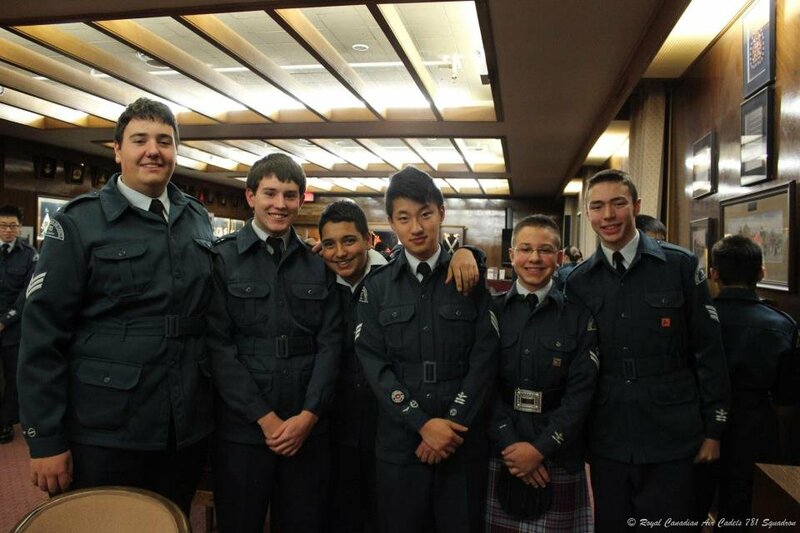 For more details about Joining Cadet, please go to http://www.cadets.ca/en/join/cadets.page. Or fill it online: Here. Cadets may enroll in the program at any time throughout the training year provided they have reached at least their 12th birthday. We recommend cadets to join us before January to take most advantage of the program. If you want to register outside of our new cadet information night which is held in September each year, you can come any night after 6:30 pm when we have activities in Vecova. Location: We are located at the Vecova Recreation Centre, 3304 – 33rd Street NW, Calgary, Alberta, Canada, T2L 2A6. Locate us using the street map. Please see the Admin Officer in the Admin office inside the parade square. If you can also bring a copy of the identifications and the Health Card, it will help to speed up the process. Other than 781 Squadron, there are other Air Cadet squadrons in the Calgary surrounding area, it is recommended to join the squadron close to your home. 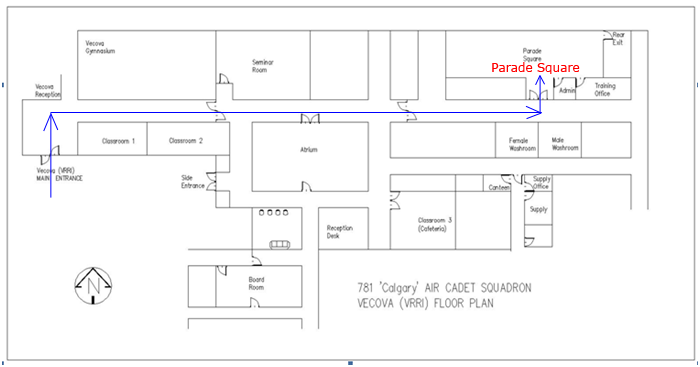 The Air Cadets Squadrons in the Calgary surrounding ara can be found in the map here. Please refer to this page for the detail list. 2017 sep registration ? sep 06 or 13 ? Is it possible to sign up online because I cannot attend the meeting on Sept 11, at 7:00. You can always come in any Wednesday when we have training in Vecova. Registration opens all year while we have training. My daughter is very much interested in joining Air cadet, We live in Chestermere, what would be the nearest location ? We are located at the university of calgary. Otherwise there is Army Cadets right in Chestermere. I just moved to Calgary from Charlottetown PEI this September. I am still holding my PEI Health Card while waiting for my Alberta Health Care Insurance Card. Can I use my PEI Health Card for registration at the mean time?